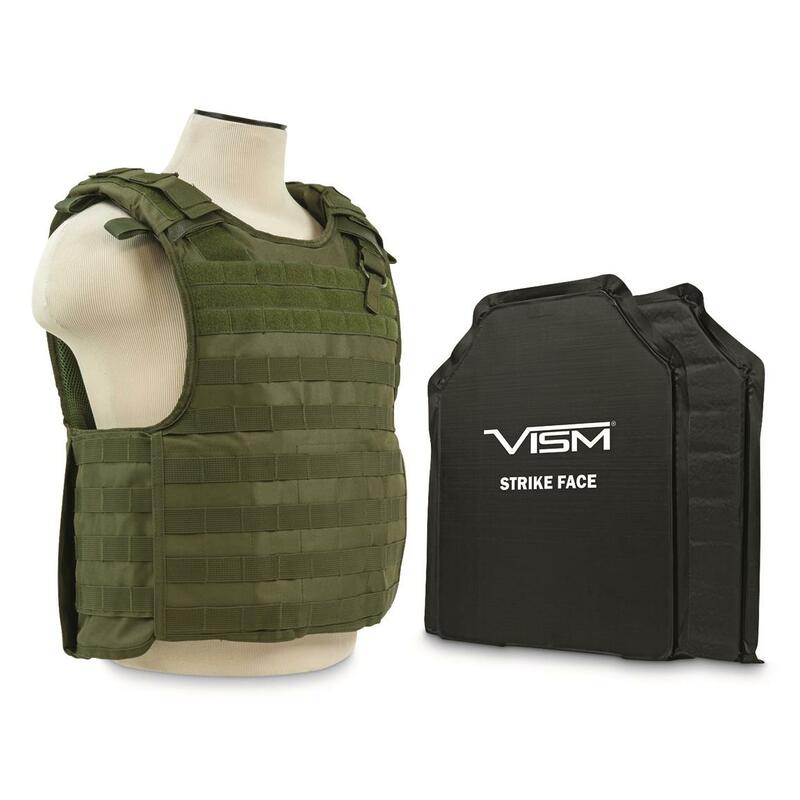 A quick-on/quick-off Carrier Vest—plus two Soft Armor Panels for front and back. The total package for front-and-back Level 3A protection, complete and ready to go! The Plate Carrier Vest ccommodates a standard SAPI plate in both the front and back pocket. A quick-release strap lets you take it off in a flash if case of an emergency. Adjustable shoulder straps and a lenght-adjustable cummerbund let you dial in your fit, and MOLLE webbing straps on the front, back, and sides let you attach a full complement of gear. It comes complete with two Level 3A Ballistic Soft Armor Panels for robust front and back protection. The ultimate in lightweight protection for those in harm's way, capable of stopping one round of .44 Magnum cold. The Panel is made from UHMWPE (Ultra-High Molecular Weight Polyethylene), a very tough material with the highest impact strength of any thermoplastic currently produced. It's an incredibly flexible material, allowing the Body Armor Panel to conform to a variety of shapes. You can easily place it in a backpack, computer bag, or briefcase for protection that won't draw any unnecessary attention. It's an incredibly versatile piece of armor that's light enough to carry all day. 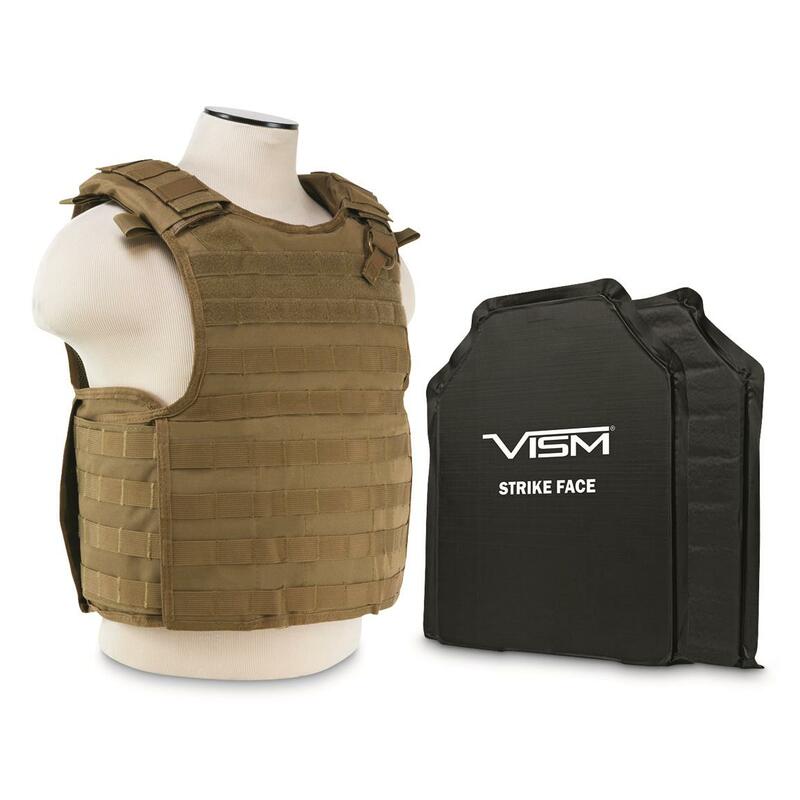 VISM By NcSTAR Quick-Release Plate Carrier Vest with Two 11x14 Level 3A Soft Body Armor Panels is rated 4.0 out of 5 by 1. Rated 4 out of 5 by MyUncleStumpy from Almost perfect Shoulder straps are not adjustable so it won't fit in a shirt style shell.